WebCE's mission is to grow a family of products into powerful educational experiences. In 1997, the vision began with a website with one goal in mind...to provide licensed professionals with quality online education at an affordable price. And, although a lot has changed since then, one thing that will never change is our core goal. At WebCE, we strive to understand the unique needs and challenges of our customers, and are dedicated to being the best continuing education provider. We believe in supporting professionals as professionals with quality education products and exceptional service. Each year we deliver over 1,000,000 online courses to working individuals and corporations nationwide in order for customers to obtain their continuing education credits as well as accomplish training and certification goals. We are committed to continually improving our customer experience through ongoing product innovation and superior service and support. We are a team of hard working, over-achievers. 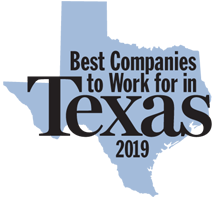 Our employees take great pride in being a part of the WebCE family and in representing the core values of our company: honesty, respectfulness, commitment, innovation, and reliability. Our dedication to quality and service is what makes us different and keeps customers coming back year after year.